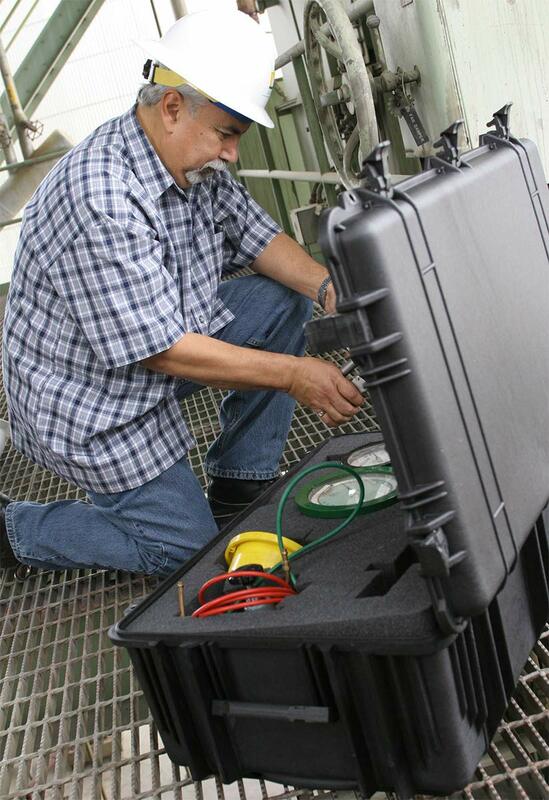 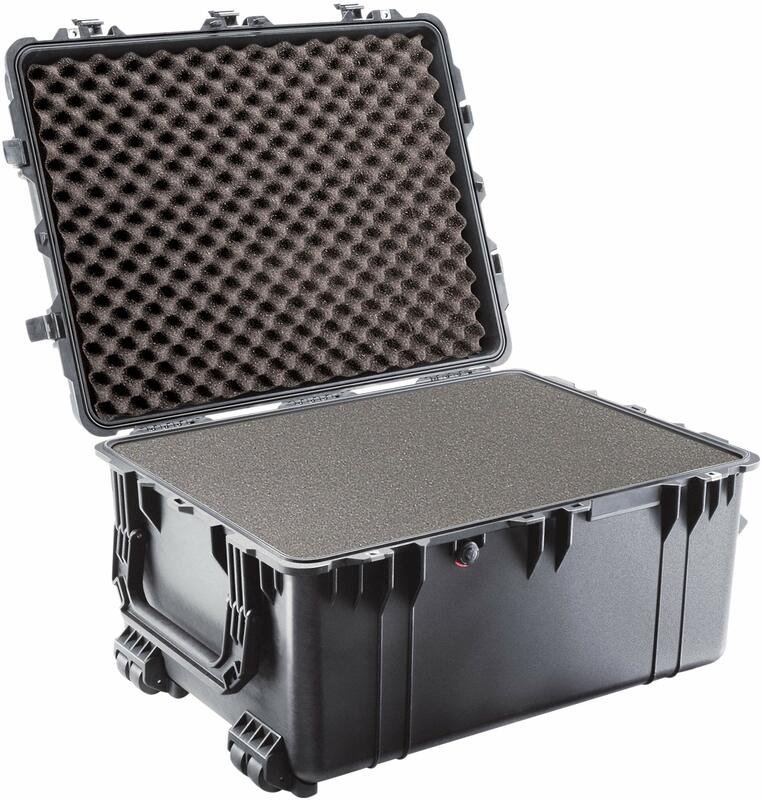 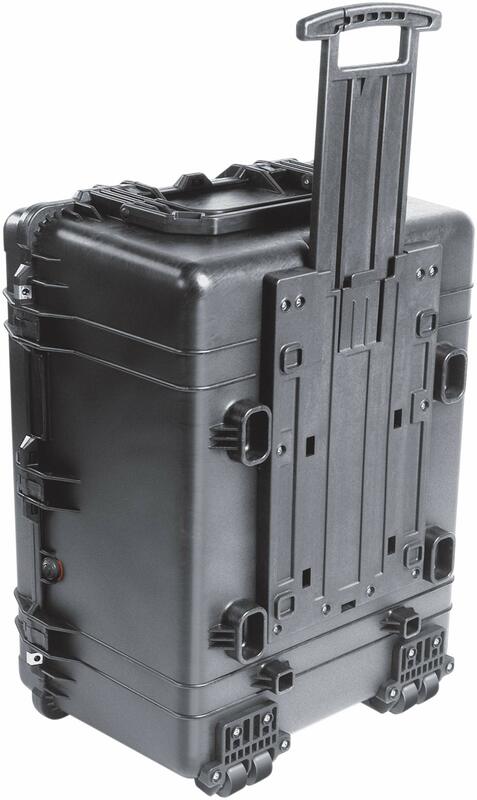 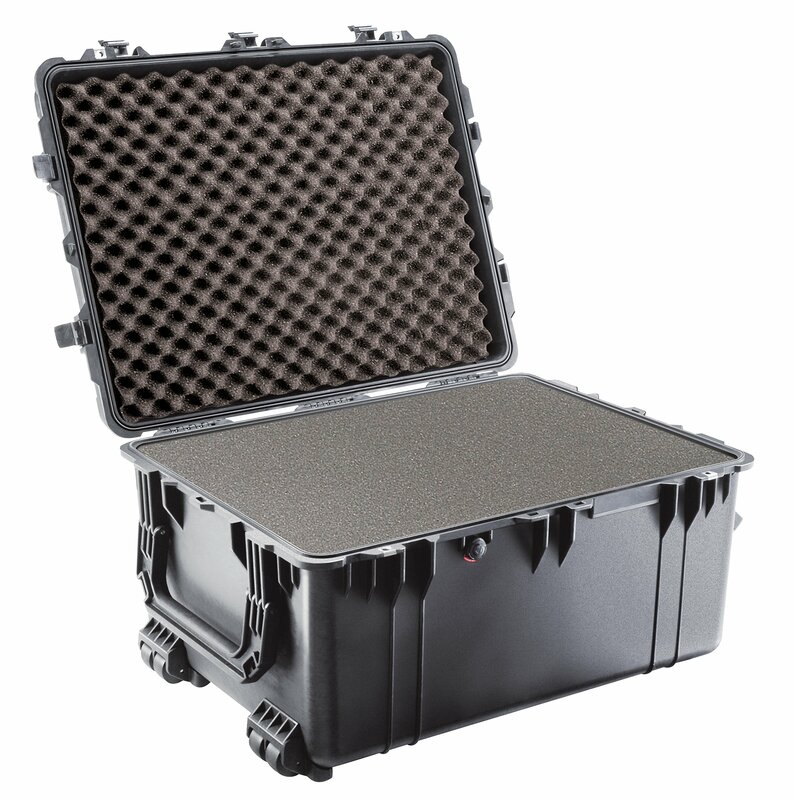 Pelican Protector Cases are made with Copolymer Polypropylene, using an open cell core and solid wall construction, which is stronger and lighter that the completion. 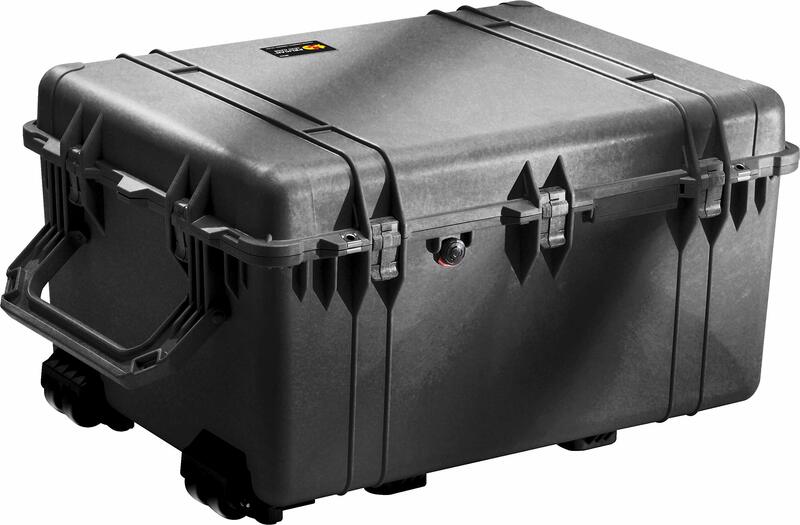 You can tell its a Pelican case by the distinctive “twin-ribbed” top surface. 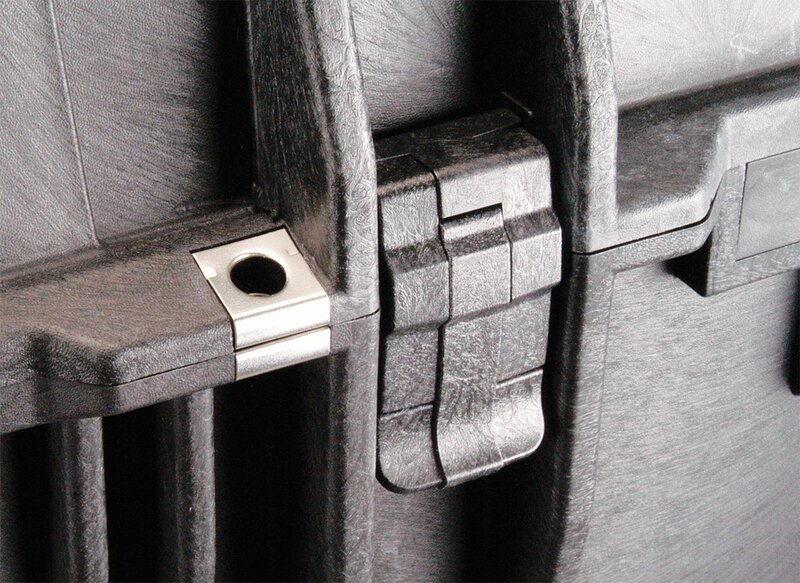 Stainless steel pins are used for hinges and handles. 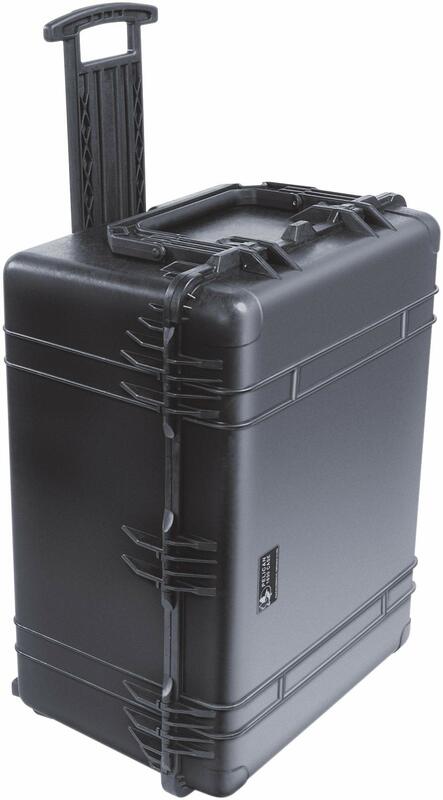 The new Double-Throw latches are much easier to open.